A leading pro-life member of Congress introduced new legislation today to defund the Planned Parenthood abortion business. The nation’s biggest abortion company has received billions of taxpayer dollars over the years, but President Donald Trump and pro-life adovcates have made it a priority to revoke its funding where possible. Rep. Vicky Hartzler, a Republican who leads the House Vales Action Team, introduced the Defund Planned Parenthood Act of 2019 in the House today.It would revoke Planned Parenthood funding via Medicaid, while the Trump administration has been working to defund other Planned Parenthood funding streams. National Right to Life Legislative Director Jennifer Popik, told LifeNews there is a partisan divide on whether the abortion giant should be funded. Popik said Planned Parenthood continues to downplay abortion’s significance to its bottom line, recycling the much-debunked statistic that abortion constitutes merely 3% of its services. As National Right to Life has analyzed previously, this is a statistical artifice that even Planned Parenthood’s media allies are reluctant to defend. The data show abortion still plays a huge role in Planned Parenthood’s mission and policies, not to mention its bottom line. Planned Parenthood now performs more than a third of all abortions in the United States and continuing to be its biggest defender in the legislature and the courts. In fact, according to their own annual report, Planned Parenthood and its affiliates last year received $543.7 million, or 37%, of its total in revenues funding from federal, state and local grants and payments. Under the newly introduced legislation, all funds that are no longer available to abortion providers, including Planned Parenthood, are explicitly made available to other eligible entities to provide women’s health care services. The abortion corporation remains funded despite the partial government shutdown. 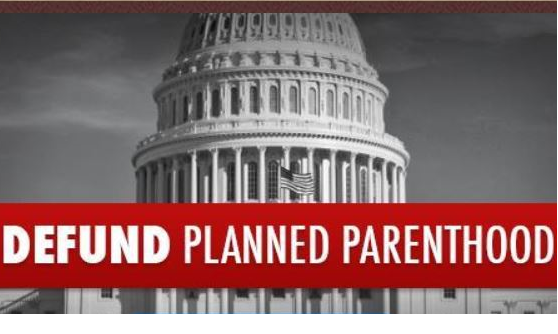 The House has approved bills to defund Planned Parenthood only to see Senate Democrats kill them. Last time, Senators voted 45-48 on the defunding amendment, with 60 votes needed to add the provision into a government spending bill. Every Republican voted for the defunding amendment but pro-abortion Republican Senators Susan Collins (Maine) and Lisa Murkowski (Alaska) joined all Democrats to vote against it. Planned Parenthood has about $100 million fewer tax dollars to abort unborn babies across the world, thanks to the Trump administration. The funding cut to the International Planned Parenthood Federation (IPPF) is the result of the Mexico City Policy, which President Donald Trump signed during his first week in office. The policy prohibits taxpayer funding to international groups that promote and/or provide abortions overseas. IPPF told ABC News it is losing an estimated $100 million in U.S. funding as a result. Democrats last week passed a bill to restore that funding but President Trump threatened to veto it. Meanwhile, the United States spends about $260 million in Title X funds annually for family planning for low-income individuals, and Planned Parenthood is a huge recipient of those funds, as much as $50-$60 million annually. But under the proposed “Protect Life Rule,” Planned Parenthood and other abortion businesses would not receive any of those tax dollars unless they completely separate their abortion business from their taxpayer-funded services. In addition, in 2017, the Trump administration cut millions of dollars in grants to Planned Parenthood through the failed Teen Pregnancy Prevention Program. HHS spokesman Mark Vafiades told the New York Times last year that there is very little evidence that the program was successful. However, the abortion chain recently filed a lawsuit challenging the cuts.